Tina Dock was a Furnace Creek basket maker and she made colorful baskets. 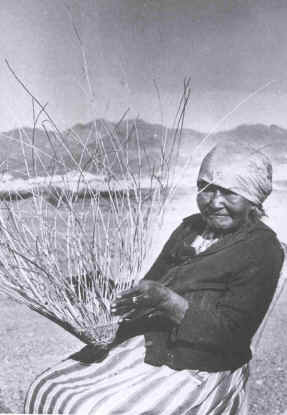 She was born in 1875 and lived in Grapevine Canyon, then moved to Furnace Creek in her later years and died in 1958. 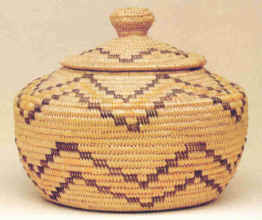 She made lidded baskets with yellow juncus.